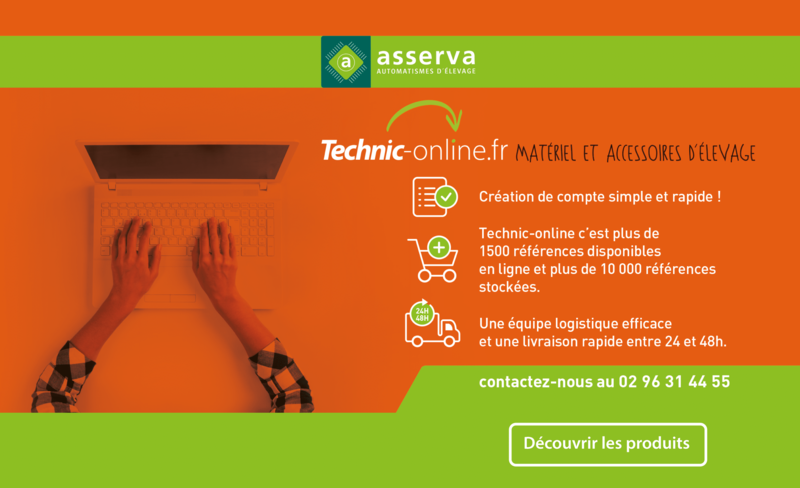 We want to make Asserva a sustainable company and ensure the development of our know-how to be recognized as an innovative and emblematic player of the “smart farm” in the field of livestock in France and in the main world markets animal production. Thus, Asserva wishes to develop its adjacent business sectors by implementing its know-how in order to respond with its investment in research and development to future agricultural issues. Asserva designs, manufactures, installs and provides after-sales service for automated solutions and feed systems for pig, cattle, goat and poultry farming. Asserva develops computerized work tools that offer better working conditions to breeders, improve the quality of life of animals while supporting the economic and technical performance of livestock production. Time management : Your time is a limited resource, Asserva’s goal is to extend its limits, and unleash the creative energy in your professional and individual environment. Productivity : Globalization forces us to be competitive. Productivity is essential, we must act on all the rentability levers of the farm. Digital productivity, feed productivity, working force and invested capital are challenges in which Asserva sees itself as your best partner. The solutions we develop takes into account these concerns. Innovation : The innovation is often the only way to bring an efficient answer to the issues that we have raised. Asserva had always invest all its energy in research, creation and development of innovative concepts. This is the expression of our commitment to our customers. Efficiency : In your farm, the efficiency must be optimised for every level: technical, zootechnical, economic, financial and human. Asserva is a creator and “contributor” of effectiveness in every moment of our partnership. This efficiency is visible from product conception, quality control and installation, to after-sales service. Asserva works with you every day. Simplicity : This notion is fundamental, our constant focus on optimised ergonomy allows us to deal with all the technical informations of your farm and contribute to adapt our technology to your specifications.